Dell 1250c toner is a new product in the market is way ahead of its competition. It is meticulously designed and crafted by experts in this field hence quality is guaranteed at all times. Below is some fact about this product that set it apart from the rest. 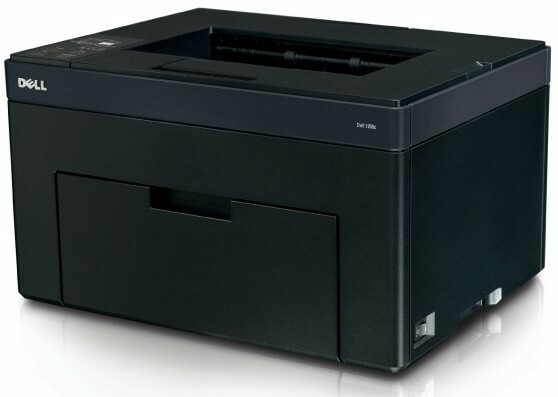 The Dell 1250c printers uses LED technology to deliver top quality results. In order to ensure compatibility, this toner is specifically designed to work effectively with these printers. It has a KCYM format that allows users to print documents in different colors such as Black, Yellow, Magneta and Cyan. In the recent past, it was difficult to find a hybrid toner that can be used for both colored and black printing procedures. Dell 1250c toner is suitable for both printing procedures. It has the capacity to deliver a total of 1000 colored pages and 1500 black pages. In addition, it is first tested before being made available to the customers in a bid to ensure that it delivers the expected results, you can be sure to get a quality product every time you purchase it. Time is one of the most limited resources in the modern world hence there is need to make maximum use of it at all times. Its high printing speed and high quality print outs will not only help you save time but also money that you could have spent if you had to repeat a printing procedure several times to achieve the right quality. In addition, it is quite compact in size and light in weight. It can also be refilled conveniently by following the manufacturer's guidelines. Price sometimes hinders clients from purchasing a particular printer toner. Fortunately, the manufacturer knows this for a fact and that is why the prices are specifically tailored to help you save money. Despite the fact that it is affordable, we do not sacrifice quality for price. Dell 1250c toner is the ultimate solution to all your printing needs. 3.Will compatible toner cartridges damage your printer? The answer is "No". The Toner Cartridges presented by BritannianInks have been tested thoroughly to make sure they will work flawlessly with all supported printer models. Also the cartridges are filled with highest quality toner which is made in the USA to give the best protection to print head. 1. What is the procedure of installing or changing a laser printer toner cartridge? Close the printer's cover and print one or two test pages.Done! sounds easy? yes, but only under the proper procedures, you can read more from this: (read more). 2. What are the most frequently met problems during and after the installation of laser printer toner and how can they be solved? Often, you may face a situation when your laser printer would not work. The laser printer toner used in cartridges is a powder. The toner is fused onto the paper with heat and pressure while printing. Many problems related to toner cartridges are unique. Some of these problems can be easily resolved. However, at times, it may be difficult to find the real problem and it may require replacing a new toner cartridge for making the printer function properly. If your printer is functioning correctly, most of the time, the problem is with the cartridge. Please click here to find detail information and solution about these problems. 1.Why buy compatible toner cartridges from https://www.britanniainks.co.uk? Our compatible toner cartridges come with the latest chip and work the same way as original. They are filled with highest quality ink (which is made in US) and gives best performance as originals. You will save 50% or more on the cost when using our compatible cartridges comparing with originals. Our 1250C printer toner cartridges have up to 18 months shelf life and we offer no quibble 12 months warranty. 2.What are OEM (original) toner cartridges for 1250C printer? OEM (Original Equipment Manufacturer) 1250C printer toner cartridges are manufactured by the maker of the printer. OEM products offer excellent quality, however at very high price which is not affordable to everyone. 3.Will using compatible toner cartridges void the DELL 1250C manufacturer warranty? It is guaranteed in law that the printer manufacturer could not escape the warrant even the customers choose the consumables from third parties. 4.Will compatible toner cartridges damage my laser printer? The toner cartridges can work well with , because the manufacturer already made many testing, and proved that their product will not damage the laser printer.